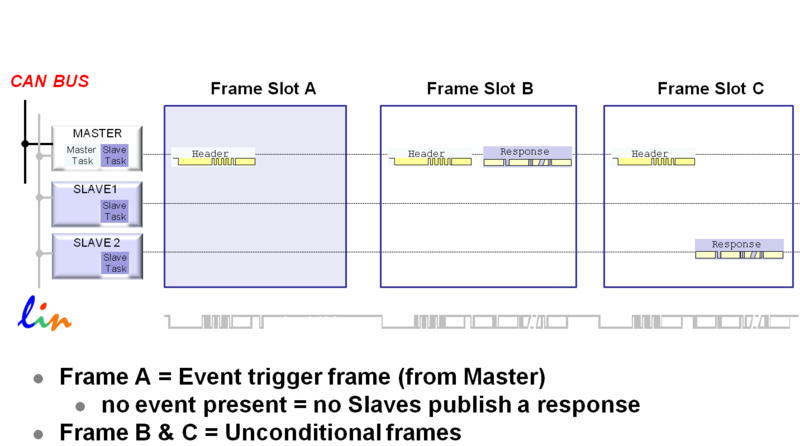 There are several different frame types in Local Interconnect Network (LIN), each contributing specific functionality to the data link layer. This is the “normal” type of LIN communication. 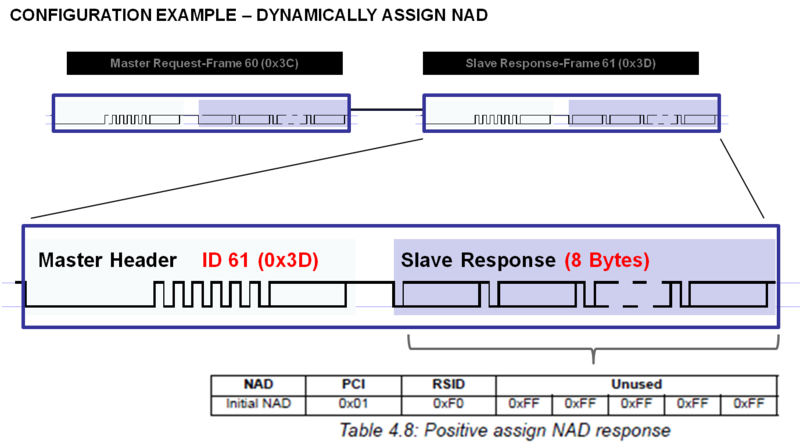 The master sends a frame header in a scheduled frame slot and the designated slave node fills the frame with data. 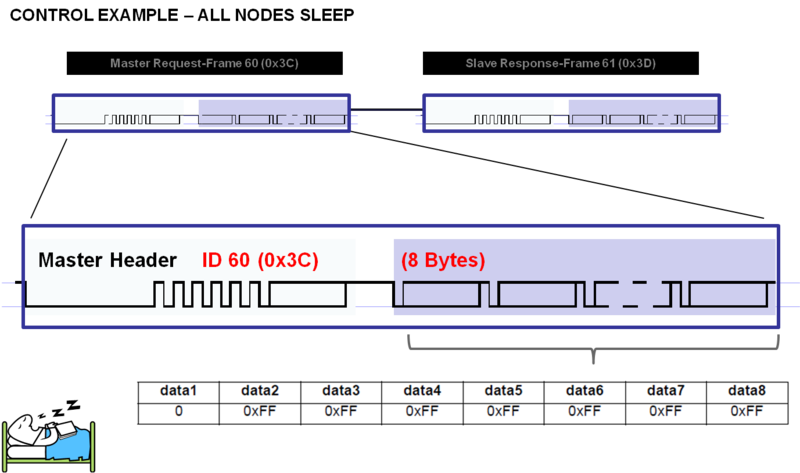 Unconditional frames carry signals and their frame identifiers are in the range 0 (zero) to 59 (0x3B). 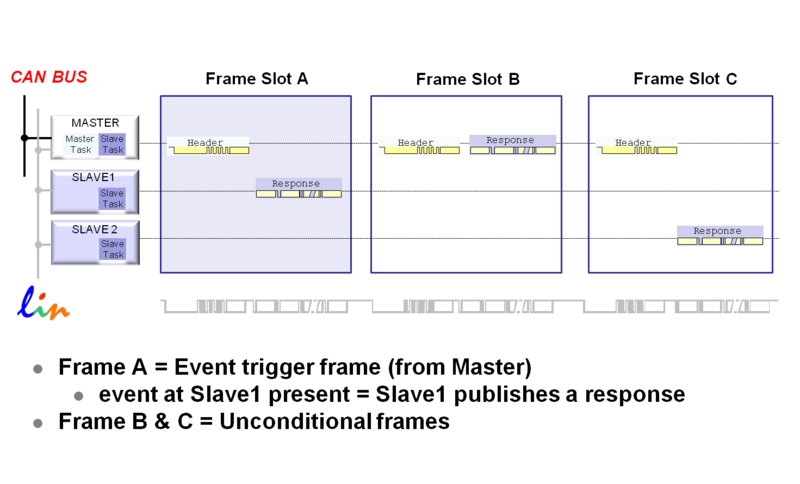 The purpose of an event triggered frame is to increase the responsivity of the LIN cluster without assigning too much of the bus bandwidth to the polling of multiple slave nodes with seldom occurring events. 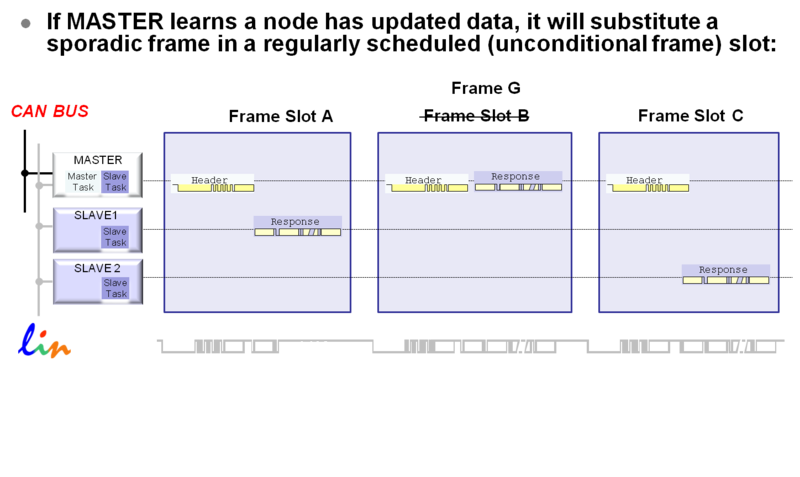 The purpose of sporadic frames is to blend some dynamic behavior into the deterministic and real-time focused schedule table without losing the determinism in the rest of the schedule table. 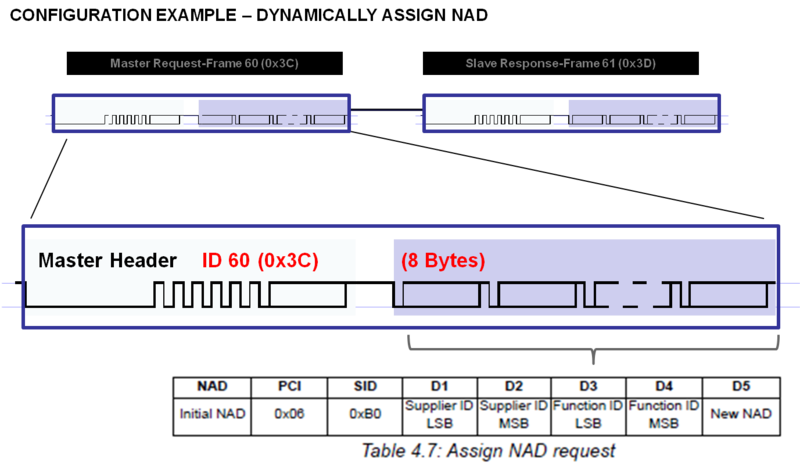 These are used in the Transport Layer Specification section of the LIN v2.2A Specification. Their primary function is in the area implementing diagnostics and configuration functions on LIN slaves. NAD: address of slave. Can be assigned by configuration. 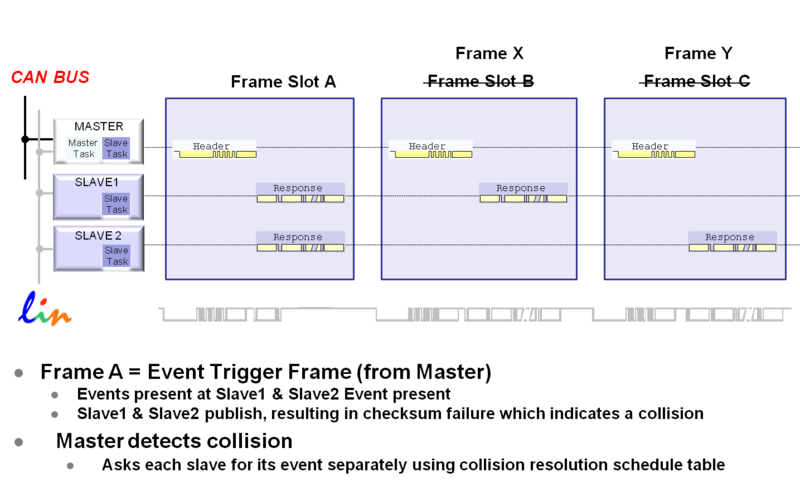 Network management in a LIN cluster refers to cluster wake up and go to sleep only.